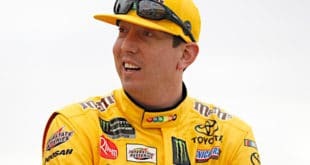 Kyle Busch has been dominating every facet of the 2019 NASCAR season. 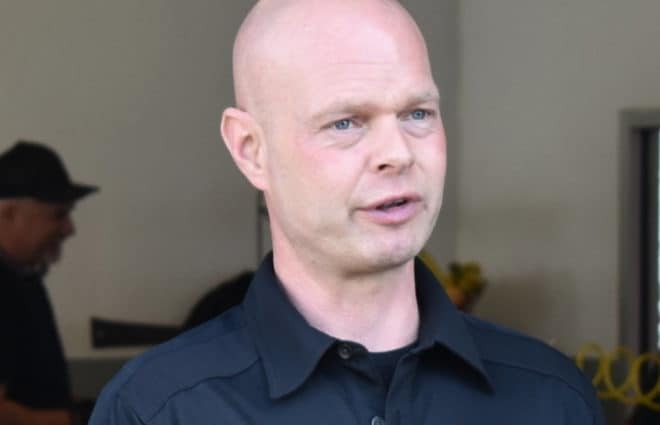 But Sunday’s race at Bristol Motor Speedway wasn’t supposed to be his moment. Busch’s car was a shell of itself less than three laps into the race, the victim of contact from Ricky Stenhouse Jr. The resulting spin ended with the rear bumper of the No. 18 Toyota looking like someone chewed it up and spit it out. Rookie Ryan Preece made extensive contact and it looked like Busch’s day was done. Give credit to Busch, crew chief Adam Stevens and their Joe Gibbs Racing team for not giving up. They never lost a lap, fought through a difficult first stage and kept improving. By the final stage, Busch was a top-five car and Stevens turned it into a winning effort through pit strategy. 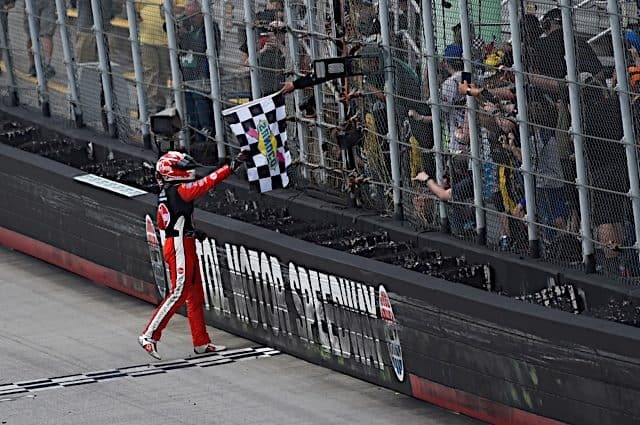 His decision to stay out on the final caution produced track position, clean air and a series-leading third Monster Energy NASCAR Cup Series victory. But this Bristol race felt like someone else’s to win. A wild and wacky day saw a long list of contenders in trouble literally from start to finish: Kevin Harvick’s pass-through penalty for failing pre-race inspection was bookended by Brad Keselowski’s black flag on the final restart. In between, stars from Denny Hamlin to Martin Truex Jr. suffered through trouble. But no one could seize control in a race more bubbly playoff contenders could have used to clinch. Kurt Busch tops the list, finishing second and coming oh-so-close to his brother’s bumper during the final laps. Kurt threatened to wreck Kyle after the race and there’s no doubt he would have. After all, Bristol’s the only track he’s won at since the 2017 Daytona 500. Clint Bowyer also led 24 laps and seemed positioned to break the Penske-Gibbs hold on the MENCS before late-race contact with Logano cut down a tire. And then that final caution? It seemed the perfect opportunity for a driver like Menard or Ty Dillon to steal one. But Busch’s crew learned from how Dillon stayed out to win stage one. That put the No. 18 out in front and we learned even a hobbled Busch can still snooker the field. 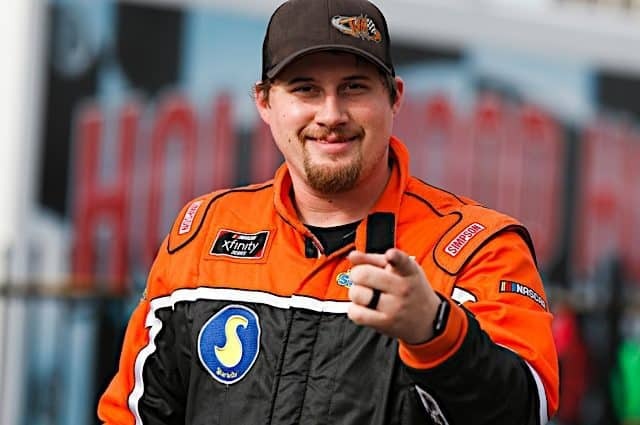 Christopher Bell is the Kyle Busch of the Xfinity Series whenever Kyle Busch isn’t in the field. That was the exact case in Saturday’s Alsco 300 at Bristol. Despite battling a loose racecar for most of the race, Bell and the No. 20 team hit the right setup late in the 300-lap race. Bell was able to squeeze by Xfinity top dogs; Justin Allgaier, Tyler Reddick and Cole Custer, giving him a chance to pass Brandon Jones on a late-race restart. Once Bell passed his Joe Gibbs Racing teammate, he set sail to the victory. The victory is Bell’s second checkered flag of the season, winning three of the past four races on short tracks (Bristol, Richmond in September, Iowa in August), as well as posting a runner-up finish in the other race. Reddick led 61 laps en route to a second-place finish. It’s his fifth top five in seven races this season. The biggest miscue for the No. 2 team was surrendering the stage one victory on the final lap because of radio miscommunication. Reddick got told the white flag was the actual green-and-white checkered flag, causing a slowdown that ultimately cost him. Custer, Chase Briscoe and John Hunter Nemechek rounded out the top five. 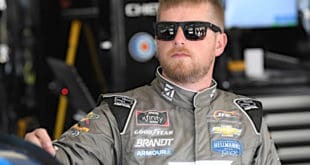 Michael Annett scored his fifth top-10 finish of 2019 (eighth), last year his first top 10 didn’t come until the Bristol Night Race. 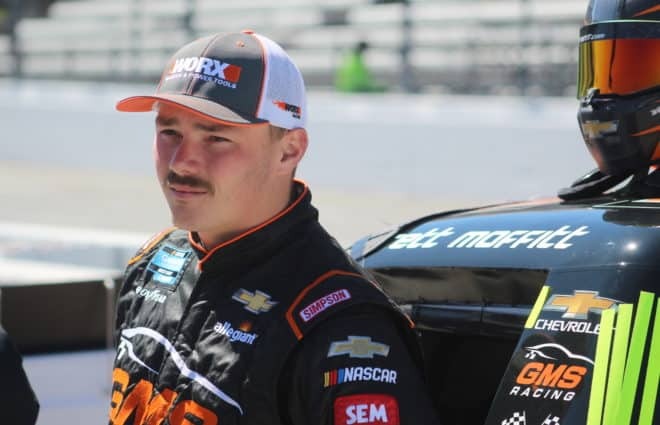 Meanwhile, Harrison Burton overcame a flat tire to finish 10th in his series debut. Timmy Hill also posted his best finish (17th) on a non-plate track since Darlington 2012 (16th). The NTT IndyCar Series’ annual visit to Barber Motorsports Park was, from start to finish, full of surprises. Takuma Sato’s pole-winning effort on Saturday came as a bit of a shock, as did his team locking down the front row of the starting grid with teammate Graham Rahal. But a dominant performance on Sunday, in which the Japanese driver controlled the race from nearly start to finish, was even more unexpected. Sato never faced much of a challenge from five-time champ Scott Dixon, at times opening up almost a 10 second gap. 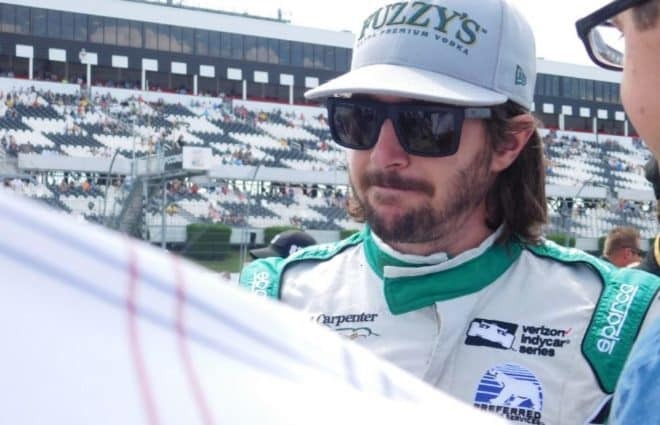 Having made little noise in the first two rounds of the young 2019 season, not only competing with the big boys–Andretti Autosport, Team Penske, and Chip Ganassi Racing–but leaving them in his dust, could be one of the bigger upsets of the year. With only one more race until the series heads home to Indianapolis–next week’s Acura Grand Prix of Long Beach–Rahal Letterman Lanigan Racing could be hitting its stride right as it matters most. Just off the podium, it was Josef Newgarden who put together an equally impressive performance. While he couldn’t extend his win streak to three straight in Alabama, the 2017 champion is positioning himself as the early favorite to take home this year’s crown. Turning his 16th-place starting spot into a fourth-place finish was a title-deserving drive, and exactly what the Nashville native needs to avoid a repeat of last year’s up-and-down season. While IMSA’s primary series were off last weekend, their single-make support series held their season openers. These became the undercard to IndyCar at Barber Motorsports Park in Alabama, serving as relatively rare IMSA races held on non-IMSA venues. 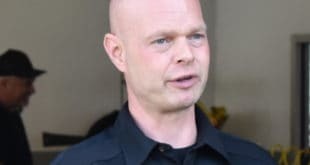 Lamborghini Super Trofeo North America saw Precision Performance Motorsports’ Brandon Gdovic and Conor Daly win Race No. 1 on Saturday. Corey Lewis and Richard Antinucci claimed Race No. 2 Sunday for Change Racing. With a number of former Porsche GT3 drivers graduating to the IMSA WeatherTech SportsCar Championship’s GT Daytona class this season, Porsche GT3 Challenge Cup USA seemed to be wide open. Not so fast. 18-year old Canadian racer Roman DeAngelis, who made his GT Daytona debut in the Rolex 24 at Daytona back in January, came to Alabama with purpose. 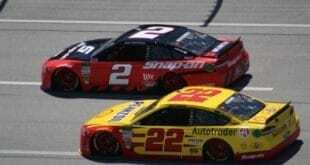 While his GT Daytona debut ended with a podium finish, his sojourn to Alabama worked out much better.